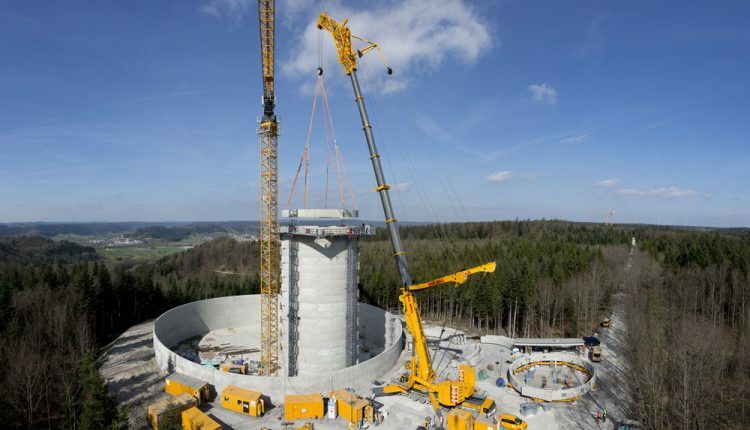 Mobile crane builds 40-metre high active basins for energy storage project. All the crane work is being completed by Liebherr machines. The tallest wind turbines in the world are being erected with a total height of over 240 metres.